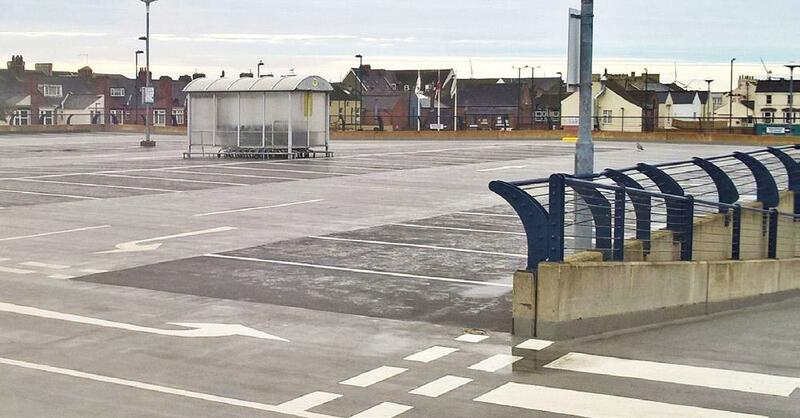 Car Parks come in all shapes & sizes. Many are in-situ reinforced concrete – built as early as the 1950’s & 1960’s – & comprising columns, beams and either flat, waffle or ribbed slab decks. 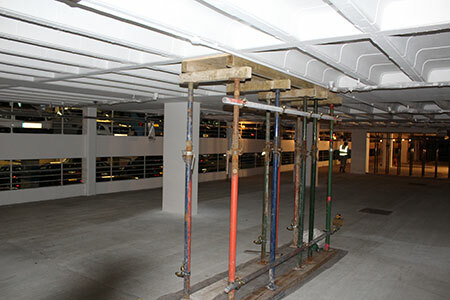 As car park designs and construction techniques evolved through the 1970’s & 1980’s however, there are an increasing number of reinforced concrete in-situ elements (frame) combined with pre-cast elements (deck planks, parapets) that have now reached a stage in their life where they too require remedial attention. More recent innovations include lightweight steel structures comprising usually a galvanised steel frame (columns & beams) with either pre-cast planks with structural concrete toppings, composite or hollow-rib decks. Regardless of structure type however, they will all need either repairing and/or protecting during their service life. 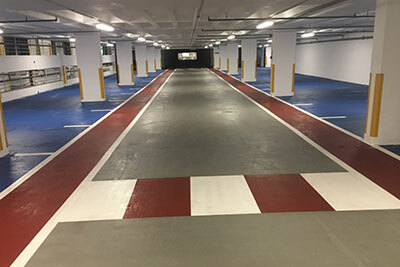 For the majority however, the repair and protection element of a car park refurbishment relates to repairing damaged concrete (damaged usually by the effects of reinforcement corrosion) as well as protecting the concrete to either prevent the development of corrosion-related defects or to stop them from occurring in the first place. 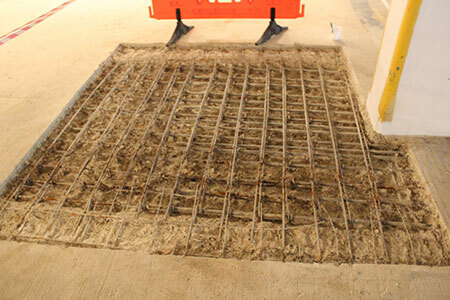 In line with the Corrosion Management process and repair strategy of the structure, various different techniques can be employed to reinstate the defective areas of concrete, depending on size and complexity. These can be hand-placed, flowable or sprayed repair techniques. Cemplas will always use correctly certified pre-bagged and polymer-modified concrete repair systems and compatible protective coatings (anti-carbonation) that comply with BS-EN1504 which is the British Standard for the protection and repair of reinforced concrete. There are ten parts to the standard covering test methods for material properties and specification for the key repair materials, including bonding agents, repair mortars, surface levelling mortars, anti-carbonation coatings and deck waterproofing. Wherever possible, we recommend that all components of the concrete repair & protection system are supplied as ‘single-source’ to eliminate complications relating to warranty and potential performance issues.